‘Phantoml0rd’ a controversial Counter-Strike streamer is now suing Twitch. He claims that Twitch terminated his account unlawfully. Despite the fact that the platform was what made him famous in the first place. James Varga, also known as ‘Phantoml0rd’, put a complaint in on Wednesday according to the gaming and eSports Polygon. He filed the complaint in the Superior Court of California, San Francisco. He did this in a bid to claim monetary damages from Twitch for deleting his account. Varga was what some might call an online celebrity, boasting just under one million followers along with 16 000 subscribers on his channel. It was just after Richard Lewis, a gaming journalist, uncovered Varga’s activities, that Twitch pulled the plug. Lewis received a file from an anonymous hacker, which to a certain extent proved that Varga was the CS:GOShuffle owner. CS:GOShuffle is a roulette-style skin-gambling website that he had previously promoted during one of his streams. He did so by betting in real-time during his stream. Why would Twitch close his account? Well information of around 20 000 Skype messages between CS:GOShuffle’s programmer Duhau Joris, prove that results were manipulated. The messages see Varga asking Joris to send him the results of the spins before they happened. So ultimately, what Varga did was rig the games during his streams to make skin-gambling look more appealing to all those following his channel. More so, Lewis reports that Vargas had gambled with house money which was taken from the business. Further meetings had been conducting between Varga and other betting sites to which he discussed methodology. If that wasn’t enough, the ‘Phantoml0rd’ asked Joris to increase his chances of winning by informing him of percentages for his rolls. Why? Well for personal gain of course. This lawsuit filed by Varga was done so just under two years after his account was terminated. He claims that it was stated in a contract that should Twitch wish to terminate his account, then he needs to be provided with a clear explanation in writing. Which according to him, never happened. Further, Varga expresses that he was allowed to broadcast the content which was only later used as an excuse to terminate his contract. 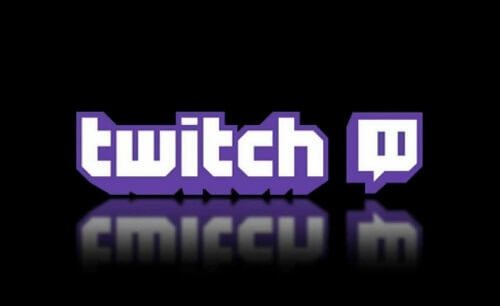 However, the streamer claims he was also informed in January of 2017 by a representative of Twitch that his contract was not terminated for gambling violations. Instead, Twitch claims that the reason for his contract termination was due to the streamer amassing what is referred to as fraudulent subscribers. What is considered a fraudulent subscriber? So, things like bots are considered to be this kind of subscriber, which according to Twitch is against their terms of service.